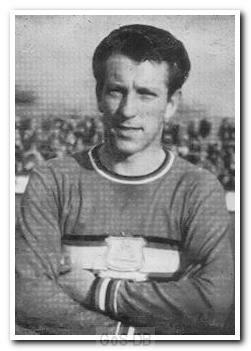 Everitt was born in Clacton and began his career as an apprentice with Arsenal, signing professional terms in 1958. Despite his versatility, being able to play at either wing-half or full-back, he could not break into the first team at Highbury and moved on to Northampton Town two years later, then managed by his former Arsenal team-mate Dave Bowen. Over the next six years he played more than 200 games for The Cobblers and helped the club win promotion twice and the Third Division title in 1963, a period which saw the club move from the Fourth to the First Division. Moving to Home Park in March 1967, he did not enjoy the same level of success and after Argyle were relegated the following season, he joined Brighton and Hove Albion, where he ended his professional career. He went on to become player-manager of Plymouth City before taking charge at Wimbledon and Brentford and also coached at Leicester City and for teams in Kuwait, Egypt and Morocco.